To my left, Nainital Lake coils with the stillness of a crouching tiger, moonlight staining the dark shores that our car shins up. I have eyes only for the road, but can’t see much. Tailed by a midnight mist and a turning stomach on the hour-long drive from Kathgodam railway station, now would be a good time for the hairpin bends to end. Was I thinking out loud? For Rafique, who seems to have driven the trail a hundred times, turns to me and says, “Ten more minutes, madam, and we reach.” Indeed we do. Naini Retreat—formerly the residence of the erstwhile Maharaja of Pilibhit, and my haunt for the next couple of days—is carved into the slopes of Ayarpattalike a neatly-tucked cravat. But it is 12.30 a.m., which means no amount of squinting would unveil what I imagine to be the steep, stony frame of the hotel. So I hobble to my room in the Maharaja Wing, shovel in some mutton curry and rice, and call it a night. I wake up to a cream ceiling, patterned and pale against the woody browns of the doors, window frames and a pull-out chest in the room. If I find myself fixated on the play of colours, it is because the sun has been doodling on the ivory and cream walls decked with watercolours of forest scenes, gambolling off chintz armchairs. 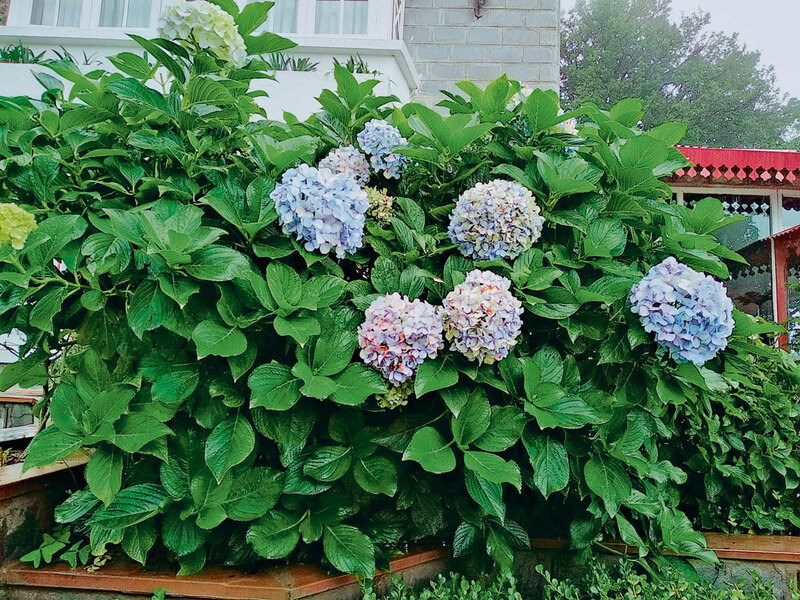 Outside the window, the Kumaon Himalayas, pencilled into the sky, are hemmed by walnut trees and a lilac burst of hydrangeas. I make a mental note: Idle along the way. 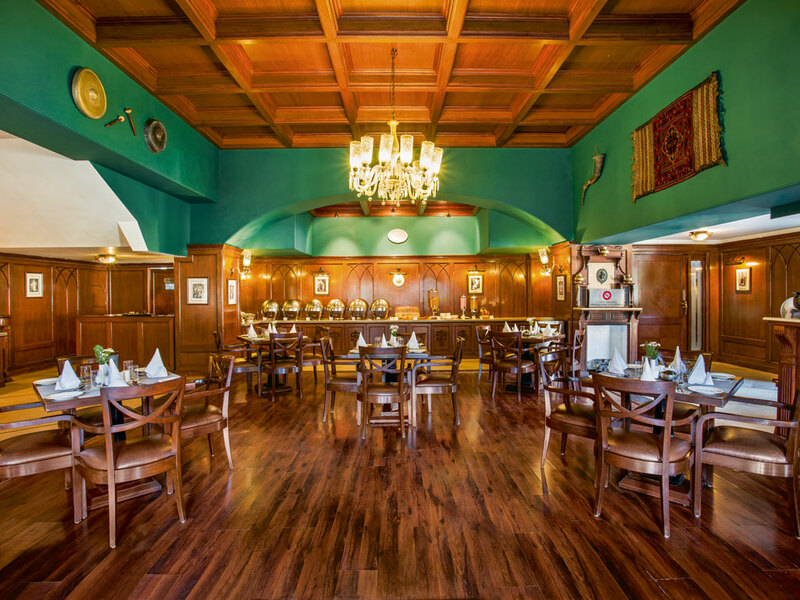 On my way to Gurney House, the resort’s multi-cuisine restaurant, I cross twin staircases, mirrors, painted porcelain plates, nooks fringed with vintage artefacts (the brass hookah and chipped wood-chest slow me down), and pencil sketches reiterating the Raj-era theme. Outside, the hydrangeas I’d spied out of my window grin brighter in the company of azaleas, daisies, fuchsias, and button dahlias. The English orderliness of the garden, centred around a two-tiered stone fountain, is diffused by an outgrowth of large trees beyond the perimeters. Here, lanky pines jostle with chinars, oaks and deodars in their empire of wilderness. I’d linger some more, but that would mean six acres of walking, and a drizzle, quick as a giant tracing paper flung over the town, is starting to fog up the scenery. At the buffet, I meet other travellers over mouthfuls of sausages, grilled tomatoes and hash browns. We’ve been diagnosed with a case of magical-mountain-appetite, which, Head Chef Puran Suyal assures, is easily cured by his Kumaoni recipes. While only walnut and rosemary grow in the garden, he works with locally sourced fresh produce, explains Suyal, rattling off names like gahath/kulath (horse gram), jakhiya (Asian spider flower), galgal (hill lemon), arbi (colocasia), and bhatt (black soybean). Suyal’s specialities will have to wait till the night because lunch will be served at the neighbouring property of Himalayan View Retreat in Ramgarh, about an hour’s drive away. Before that, we have time to walk the cobbled trails that cleave and meet around the retreat. 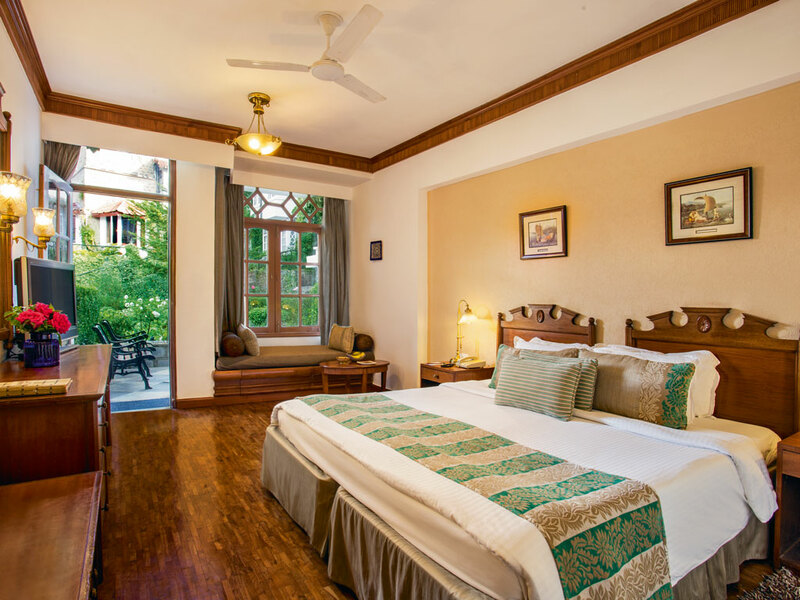 Turns out, this summer palace, built in 1927 under the patronage of Maharaja Sahu Har Prasad, was reimagined as a heritage hotel in 1989, when the ‘new wing’ was added to the original Tudor-inspired architecture. “That garden you walked through?” Vibhas Prasad, Sahu’s descendant and director of parent group Leisure Hotels offers, “It used be a tennis court where tennis-and-tea parties were hosted.” With 52 rooms, many of which pack in sweeping views of mist-caked mountains or Naini Lake below, the atmosphere can catch you off-guard. Between the old-world interiors and the hills, the place can conjure a sense of nostalgia you may not recognise as your own. Windows here will serve daydreamers rather well. There’s also a spa, a bar, and a theatre room—for old-style movie nights played out on projector—a dramatic reveal here, a collective gasp there, I imagine. Readers, pack a couple of atmospheric books, perhaps your old copy of Man-Eaters of Kumaon? 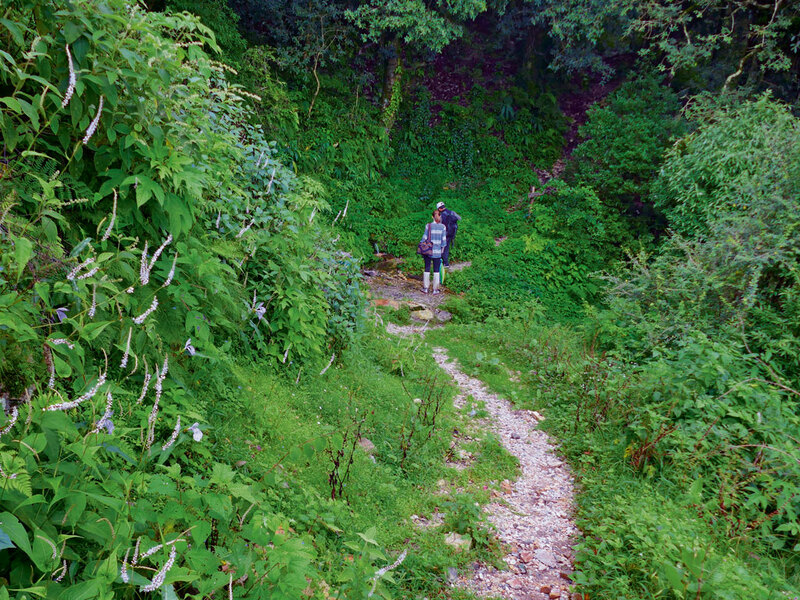 (The resort is an hour-and-a-half away from Jim Corbett National Park). The extra luggage might unlock a different side of your stay. The trip to Ramgarh is filled with swigs of tongue-scalding tomato shorba, a whimsical pine cone heist, and a chatty meal that I’ll remember for the mutton shikar and atte ka halwa that kept finding their way back to my plate. Relatively small, the Himalayan View Retreat looks like a hunting lodge designed by a man of decadent tastes, with Persian rugs, lush couches, and wooden windows as big as doors. The scene is set for a siesta after lunch, but an adventurous fellow traveller rallies a small group for a short trek to the nearby apple orchard. I’m glad I come along, for we are tailed through the slippery slope by a black dog whose cocky strut rubs off on our yawning selves. By the time we reach Naukuchiatal or the ‘lake of nine corners’ 20 minutes later, we’ve worked up an appetite for chai-pakora with a side of mountain lore. The name Nainital, we learn, is derived from the eye-shaped lake (naini, eye; tal, lake), which, according to Hindu mythology, is a manifestation of Sati’s eye falling on the spot during Shiva’s grieving tandava. Also significant is the presence of the Naina Devi temple, whose bells often join the ones at the Methodist Church, said to be India’s first, in sweetening the valley air. 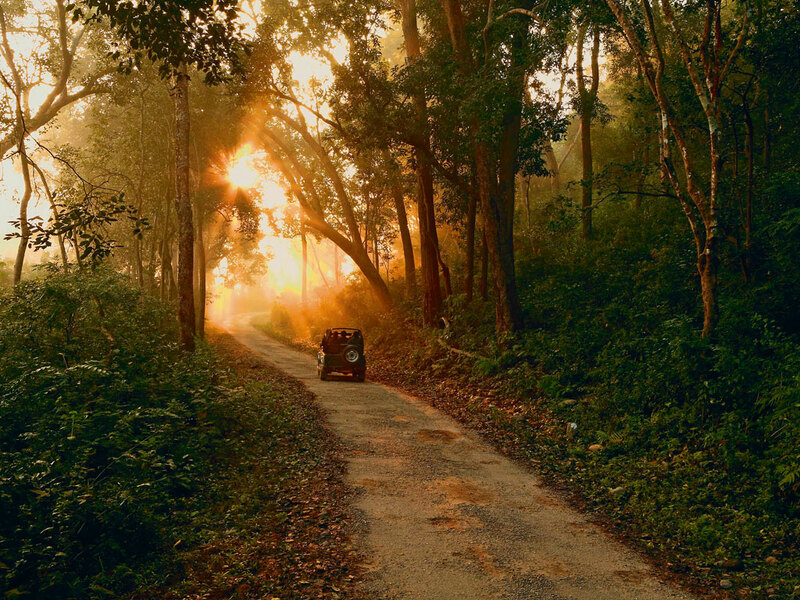 On our way back, a desolate trail coaxes someone to turn to the driver for assurance. “There are no monkeys here, right?” “No, no bandar,” the good man smiles. “Only tigers sometimes”. At the resort, dinner—including a succulent kathal (jackfruit) biryani and pahadi mustard raita—reflects Suyal’s affection for local recipes. The next morning, my last in Nainital, is reserved for a trip to the Mall Road, which runs alongside the lake. Blue-green ripples across the water and candy-coloured boats tethered to the bank dissolves its nocturnal mystery, not beauty. Dotting the road are shop windows with cheerful woollens and wooden souvenirs. I eyeball a miniature rickshaw, but settle for the more practical dark chocolates instead and different versions of the Uttarakhandi sweet bal mithai. Noontime, and the skies clean up after themselves. My heart is drowsy with a happiness that can only be found at the core of a good walnut tart, or those sun-coloured lemon cream rolls I wolfed down on the side. If I squint hard enough, I can see brown trails ribboning through the opposite slope—the clearest the view has been since I arrived. I leave in a few hours, but I think I’ll be back. Perhaps when I’m looking for time portals, fern shadows and far-away cocoons to hide out in. Or when I am ready to take the roads not taken. Sohini Das Gupta travels with her headphones plugged-in and eyes open. While this doesn't stall the many accidents that tend to punctuate her journeys, it adds some meme-worthy comic relief. 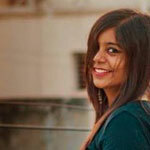 She is Assistant Editor at National Geographic Traveller India.